Episode 79: satsearch.co – A single digital marketplace for the global space supply chain? A space startup based in The Netherlands – www.satsearch.co is attempting to establish a single digital global marketplace for space components, products and services. Ultimately, Satsearch’s goal is to reduce cost and time by helping customers for and suppliers of space components, products and services find each other online. This episode available in audio and video below. The Satsearch website/portal is hosted on a cloud-based environment (Amazon Web Services) and is only available in English but other languages are in the pipeline. Currently, the service to both suppliers and customers is free of charge. How it will make money in the future is not yet year clear but the current focus is on growth. 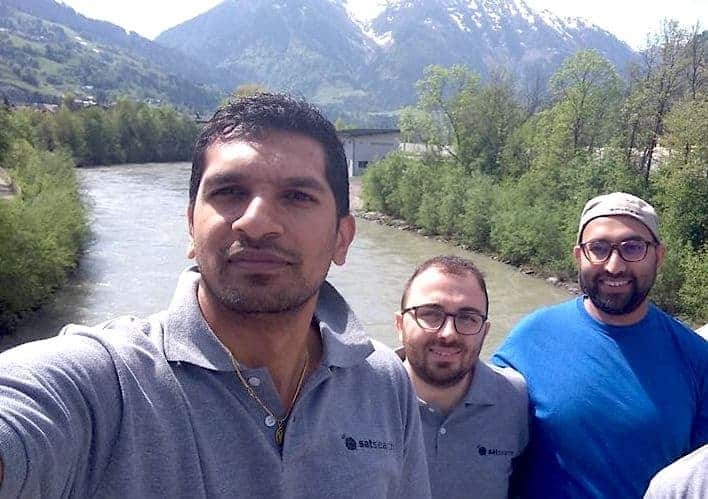 The founders hope to develop Satsearch into a sort of “yellow pages” for space products and services but with a richer vendor-neutral metadata interface supported by modern AI tools and applications. If you follow this podcast, you will notice a very long pause since the previous episode. I have been busy writing my second book, the Indian Space Programme which is now finally complete. So I am now back to my familiar but irregular podcasting mode. The growth in the space sector now widely estimated to be worth annually over 300 billion USD globally. It is primarily being driven by the commercial sector. The bulk of the expenditure is in satellite television, communication services, Earth observation and businesses enabled by global navigation. In the past, it was technological development driven by the national space programmes that triggered the development of low-cost consumer products. Today it’s the other way round. Sophisticated manufacturing methods and high public demand for digital products have produced low-cost consumer devices which without too much modification can be qualified for use in space. This is particularly true in the sudden growth of the small satellite market. 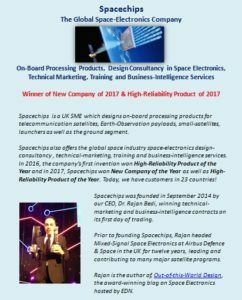 In this episode, I speak with Dr Rajan Bedi the founder and CEO of Spacechips, a UK based company offering CEO of Spacechips Ltd, which provides industrial R&D and space electronics design consultancy and training services to manufacturers of satellites and spacecraft around the world. I was intrigued by Rajan’s 2017 blog post entitled “Using and selecting COTS components for space application”. In this episode, I want to understand to what extent spacecraft manufacturers can buy components for spacecraft from the high street.